A talented software engineer with proven 10-years of experience in software development. 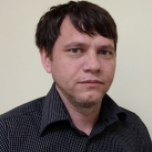 Oleksandr mostly participated in the mobile development of IOS applications and has experience in C/C++ development as well. As a good team player, Oleksandr enjoys working in a team with creative and cool people. He is a very hard-working person with strong sense of responsibility thus not afraid challenging and interesting tasks. The app turns the customer’s iPhone into the perfect passenger alerting them of upcoming traffic hazards. Real-time reports entail permanent and temporary dangers, such as accidents, traffic jams, slipperiness, obstructed view, temporary and permanent road works and speedcams. Student of PhD program	Mathematical software development: skeleton based video recognition for sign language translation.